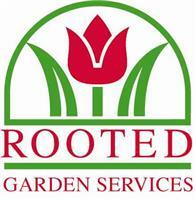 Rooted Garden Services - Garden Services, Landscaper based in Henfield, West Sussex. Rooted Garden Services prides itself in creating and maintaining beautiful gardens in the towns and villages of the Sussex Downlands, including the Brighton area. Rooted was established in 2002 and is run by Rob Eager, an experienced RHS qualified gardener who has been awarded a distinction in garden design by City & Guilds. Lawn mowing, hedge cutting, shrub pruning, border work, strimming, weeding and digging. Specialist pruning of shrubs and small trees. Hedge reductions. Garden Clearance. Soft landscaping, including planting and turfing. Soil improvement, including rotovating. Specimen tree planting. Pressure washing patios and driveways. Garden planning and management. East and West Sussex - including Villages and Towns of the Sussex Downlands and Brighton & Hove.